That's confetti. In the chancel. On Palm Sunday. It started out the morning in two very large bowls on the communion table. And then there was a children's time. And a vow renewal celebrating the 25th anniversary of a couple in the congregation. Palms? They're great. If you're an adult, you might choose to wave them listlessly during the opening hymn or worship litany. If you were paying attention at the beginning of Lent, you might even remember they are saved and dried and burned for ashes for next year's Ash Wednesday. The children and youth of the congregation know the great glory of the day, though: you can also poke your neighbor or whack your sibling over the head with your palms. Really, though, nothing beats arming a gaggle of excited children with confetti and intentionally making them wait for five whole minutes while you're doing an actual vow renewal. Bonus points if you rearrange the sanctuary for that morning so people are already nudged out of their comfort zones. Palm Sunday = great celebration. Imminent disruption of the status quo. Liturgical use of party supplies FTW. 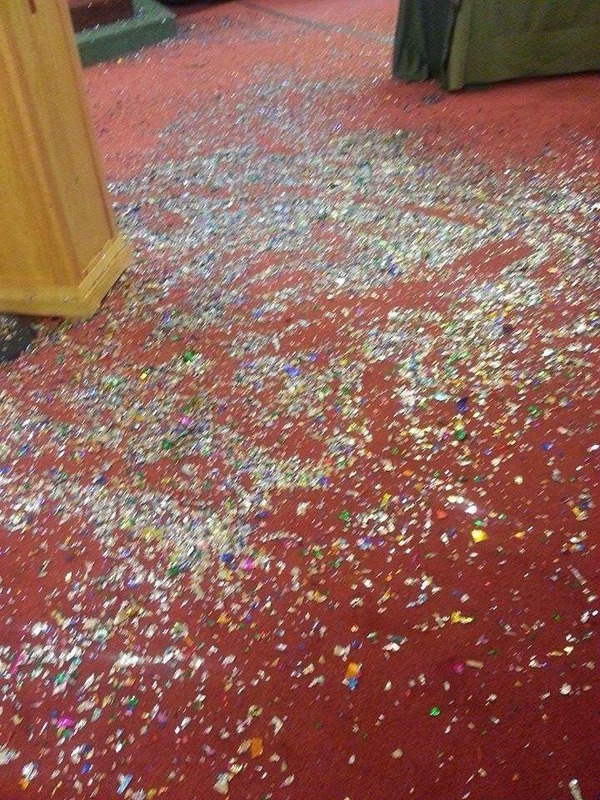 After the Great Confetti Incident, things did settle down. We told the story of Holy Week, lessons-and-carols style, from the triumphant entry to an intimate dinner with dear ones. We had communion around banquet tables. 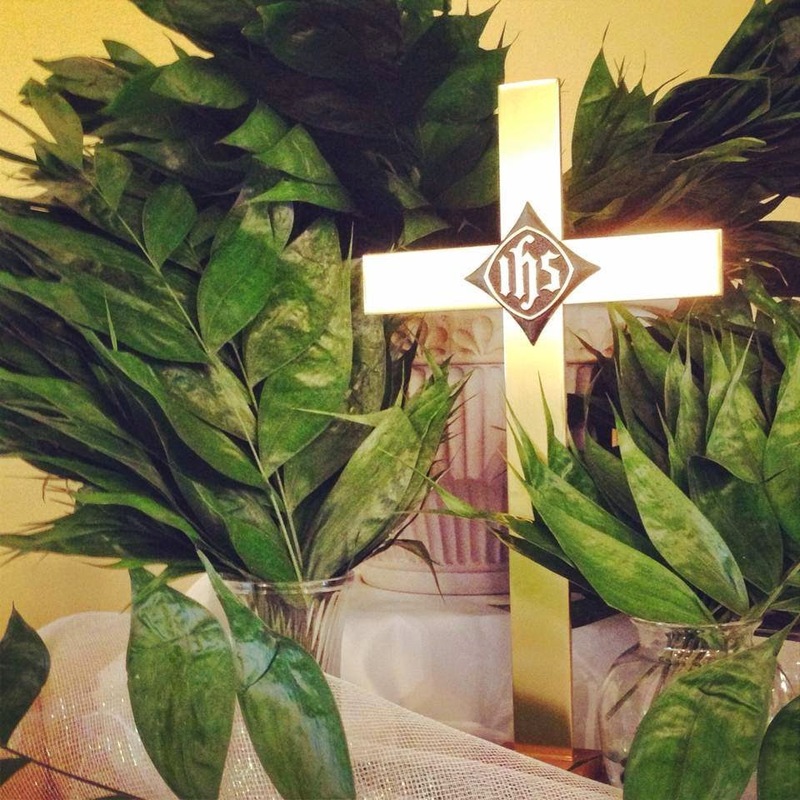 At the end of the service, we brought in a rough cross to place in the chancel for the rest of Holy Week. The remains of the celebration were still visible, just as they might have been as things started going very wrong once-upon-a-time-in-the-Gospels. edit, summer 2014: People are STILL talking about it. I had a meeting in early July with a community member and mentioned our website. 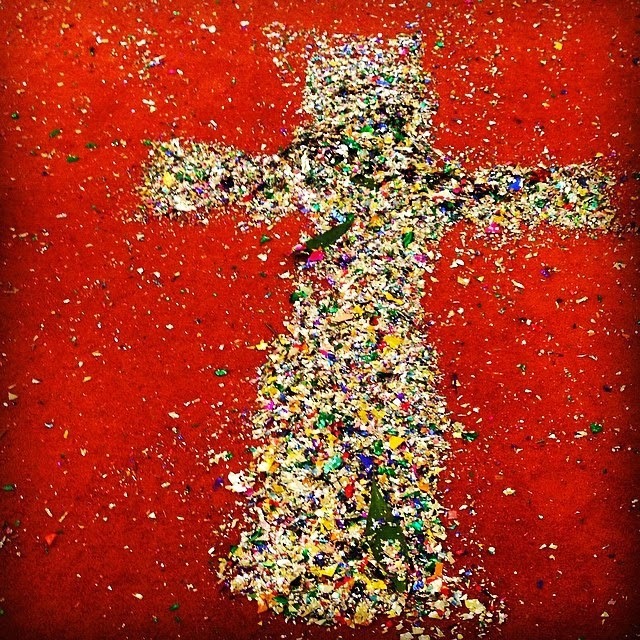 "Oh, yeah...the confetti cross!"